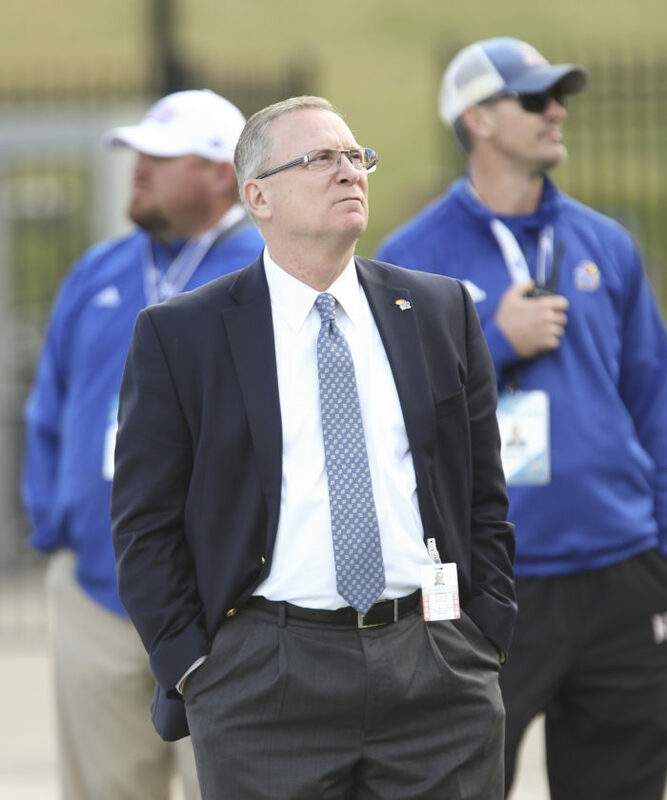 Kansas athletic director Jeff Long looks up into the stands late in the fourth quarter of the Jayhawks' 27-3 loss to Iowa State, Saturday, Nov. 3, 2018 at Memorial Stadium. 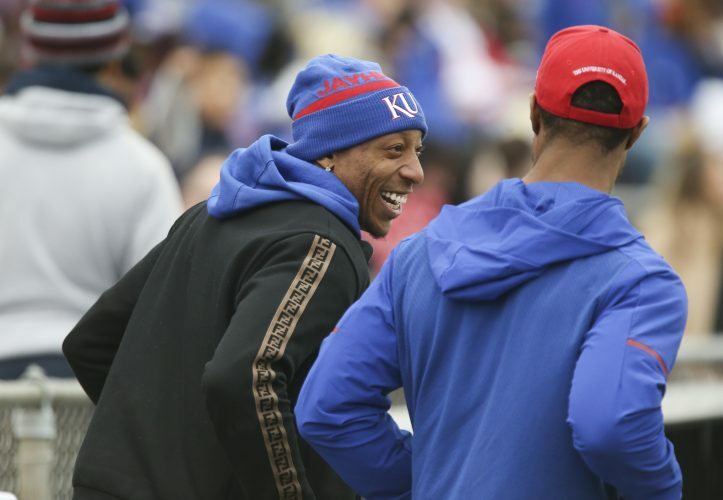 You know you can’t run or jump or withstand contact the way the athletes you cover do, which brings us to why coaching searches are such a blast to follow: You very often are convinced that you can do a better job with those than the people conducting them. Too often, you are right. 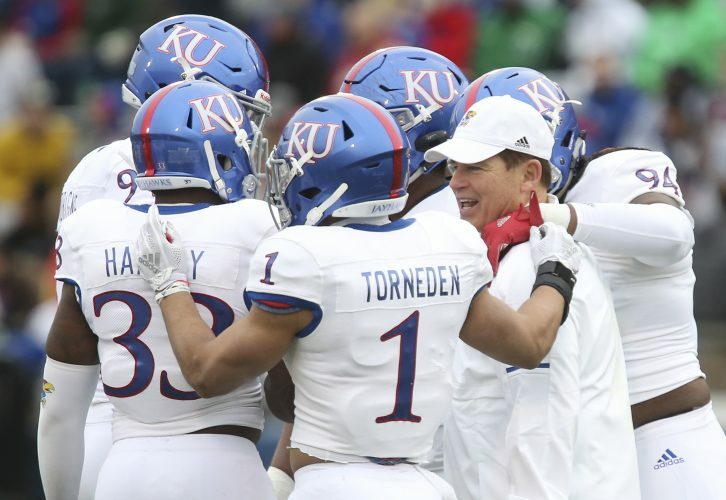 Turner Gill, Charlie Weis and David Beaty have combined for a 17-80 record with three games left for Beaty. 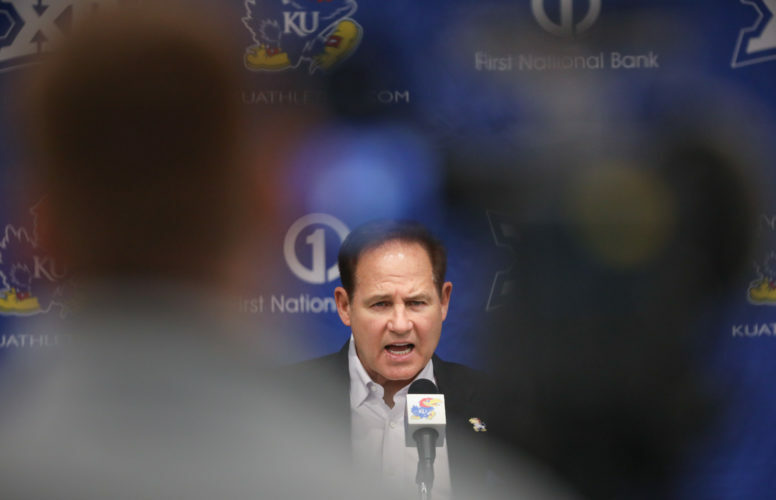 This came in the wake of 50-48 Mark Mangino. So we all know we could have done better, and have reason to believe first-year athletic director Jeff Long will do better with the current search. We’ll never know if Sheahon Zenger would have hired Justin Fuente if chancellor Bernadette Gray-Little did not put a ban on paying any buyouts. We are confident of this much: Long would not have accepted this job without knowing the chancellor has his back. 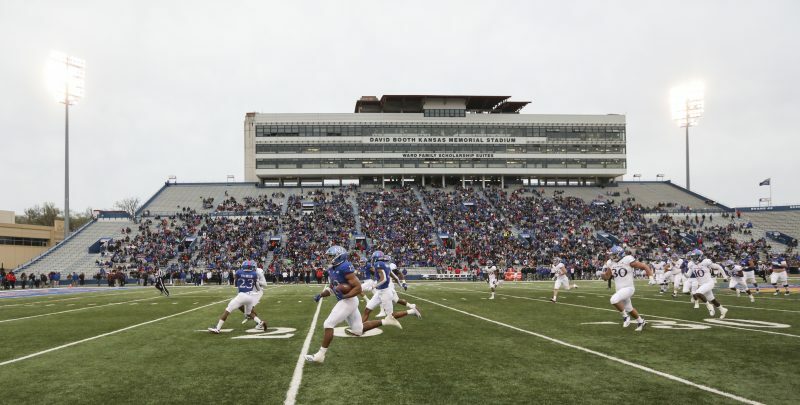 Also, Long could have put his staff to work to research data that would show the chancellor that Fuente’s buyout of $500,000 actually was quite small by industry standards and could have been earned back with a couple of big crowds. 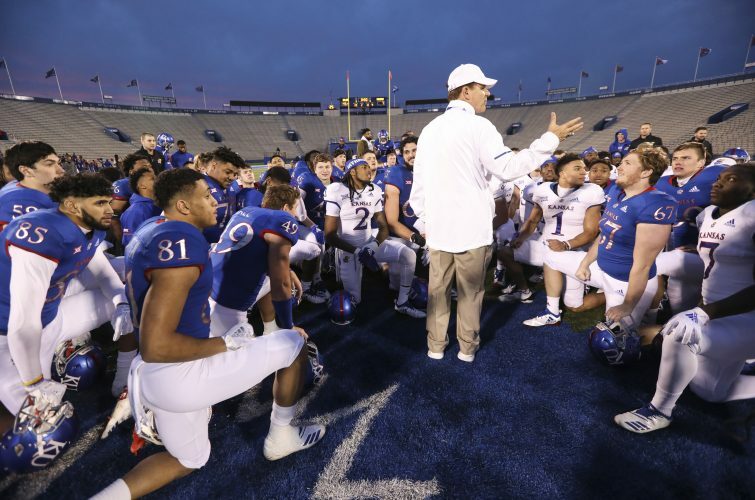 By the way, Fuente’s from Tulsa, went to Oklahoma for two years before transferring to Murray State, and was an assistant for five seasons at TCU. Some believe he ultimately wants to return to the Big 12, and his buyout, the amount Virginia Tech must be paid to grant his release, drops to $3 million on Dec. 15. Long could do worse than Fuente, 42, but probably doesn’t want to wait that long to hire a coach. Meanwhile, Beaty leaves with a $3 million buyout, guaranteed him back when Zenger doubled Beaty’s salary when he had a 2-22 record. Zenger had a blast working as linebackers coach for Bob Lisher’s Free State High football team as it just finished up a 10-1 season. After that, look for Zenger to return to an assistant AD role in the Big 12, perhaps at TCU. Kansas gave Zenger a $1.5 million parachute. Unfortunately, covering sports doesn’t come with lucrative contracts or guaranteed buyouts, but in my case it has led to no shortage of moves. I spent most of the ’80s covering sports in the Los Angeles area, the first half of the ’90s in Chicago, one year in Baltimore, the next 10 in New York, and the past 13-and-a-half in Lawrence. I’m leaving a great college town for the center of the sporting universe to write a column for the Boston Herald (BostonHerald.com). I’ll be driving across the country this weekend to report to work Monday. Thanks for reading, and in turn, feeding my family.